Looks like an absolutely loaded draft this year with possibly over 130 underclassmen declaring. With the additions of Dwayne Haskins and Kyler Murray (QB's), it could make for interesting selection day scenario that might bode well for the Lions at 8. My early wish list is for Clelin Ferrell DE or Josh Allen OLB falling to us at 8. No matter how it plays out we should be able to add two or three potential starters to the roster. If the Lions can get an stud edge rusher (Burns/FSU or Ferrell/Clemson or Bosa obviously) then pull the trigger. UofM fans might throw Gary in the mix as well and his versatility is something Patricia would value but I have him valued in the back half of the first round (I think you will see a lot of differing opinions of how high Gary should be taken). Plan B for me is a shut down corner to match with Slay. If the Lions top rated CB is there at 8 I would have no problem with the pick as I think that would give the Lions ideal matchups in the backfield giving the DL more time to get to the QB. I'd take a long look at Greedy Williams/LSU and Byron Murphy/Washington. The Lions defense ranked 28th in the league in ypc as their CB2 struggled all season. These are the two positions I would target. Corners taken in the top 10 tend to do very well in the NFL while the drop off rate for edge rushers is pretty dramatic as you get lower in the draft. FA could alter their needs of course, especially if they add to the secondary. Obviously a shutdown corner would be a major benefit but the issues at No 2 CB are a bit overblown. The Lions lack of a pass rush is the underlying issue. You just cant give teams all day to throw like the Lions did this past year. I know they ended up getting some sacks but these were mostly (75%) coverage sacks. Nobody in that secondary looked quite as good this year. The passrush is the key to creating turnovers which they sorely lacked. What happens in free agency is also going to be big. 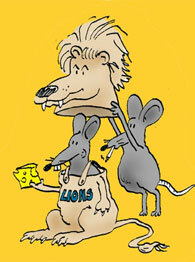 The Lions have a lot of needs and fortunately a lot of money but will they be able to attract any free agents of note? After a year when they were blown out several times and the veteran leader that they brought in who had the closest relationship with the head coach said at the end of the season that the lockerroom just didnt buy in? Im not so sure. Definitely a big offseason for this organization, they could correct most of there problems for several years into the future or they could pigeon hole themselves further into the cellar that the front office has let them slip into. IMHO, I think Gary has been considerably over rated. 3 years at UofM and this year was the 1st year he even came close to living up to the hype. I would rather have Chase Winovich. He is a max effort player on every play. I just wonder if he has hit his ceiling or if there is more room to grow, and if he has hit his ceiling, how long and how well will it play in the NFL? Really like the effort and intensity that Winovich plays with, but I don't know if he's a good fit for us. Does he have the flexability to play in space? Or is he purely a rusher? As for Gary, personally I see him as overated in regards to being considered top ten. I dont think Gary was as dominant as what one would expect from a projected top 10-15 pick but I still think he projects as a very good prospect and will be a good NFL player. I like him a lot more than I like Taco Charlton who went in the first round albeit has been a disappointment so far as I expected. I think Gary is much more likely to work hard and reach his potential then Charlton as well as it helps that he s more versatile with a more expansive skill set. Charlton has to beat tackles around the edge to the QB and if he s not doing that than he s not really doing anything for your defense. Gary can help you even if he s not getting the passer. He s a safe pick with a high floor and a high ceiling and thats why he s going to be considered pretty early. Im not high on Winovich he s a decent college player, hustles, overplays the passrush and overpenetrates. I dont see him playing the edge with a lot of discipline. I dont think thats a fit for Patricia s system. They already have Okwara who plays with great discipline on the edge and really does everything fundamentally sound, I dont see Winovich as an upgrade. Maybe he takes someone else off the field on 3rd down but his 2-3rd rd draft grade is too high for what I think he will bring. There may be a spot for him somewhere in the NFL but I think he s a rotational player or subpackage player not a starter. Typically his level of talent would go in late 4th to early 6th range but got in front of every camera there was and has created a good profile for himself. Overrated player which is great for him but not good for whoever takes him. Ever since the Lions were looking like #5-10, I've been big on Brian Burns to the Lions and that holds true to this day. My only (ONLY) concern is his weight. Thank God someone with years of NFL experience has to figure that "issue" out, but for now he's my favorite at 8. If hes there. IMO, he shouldn't be. But he might be. Like mentioned earlier, FA is going to play a huge role. Have seen him listed in several mocks, but after reading your post decided to look up some film on him. Impressive. Although a little light in the pants, he doesn't play that way. What really jumped out to me is his quickness. He'd definitely pack on 10-15 pounds of muscle in the Pro's. Yes, 100% agree. He doesnt play anywhere near his listed weight. Not only is he quick, but he has a ton of pass rush moves too, doesnt just try and outrun the tackle around the edge. Our draft needs may have changed slightly with release of T.J. Lang. We know how much BQ likes taking O-line early on draft day. Could we be looking to take a G in the first couple rounds? There very well could be a rush to start the draft on EDGE rushers leaving the Lions with choice of Devin White or or heaven forbid TE T.J. Hockenson. Hockenson a TE who can block and catch would do wonders for the Lions offense but after drafting a guy who couldn't block and had bad hands in Ebron the fan would mutiny. I wouldn't mind our draft looking like this 1 little bit. Done on First Pick with no trades. However, I don't think Zedrick Woods lasts past the early portion of the 3rd round at the latest. I would be willing to use our 2nd on him. I also don't think Boykin lasts past the 4th round. It'll be White or Greedy Williams. There's no value in the offense picks early in this draft. The only hype is for Metcalf, but from what I'm hearing on his body fat%, most are looking at that as a red flag, not a plus. Also, a lot could change with FA. We actually have a lot of cap space and could decide to move up for one of the edge players or drop back. I'd have to think Quinnen Williams getting past the first 3 picks is almost near impossible.